Comics In 5 Panels: The Quest For Lost Comics; Rose And Thorn. The Quest For Lost Comics; Rose And Thorn. Why do we love to see movies and read books about psychopaths? Is it the fantasy of total freedom from ethics and norms? Is it because we feel sorry or even relate to them? Or maybe its just the trill of reading about a human being who, in theory, is capable of doing anything. Or maybe I'm just putting too much into it. 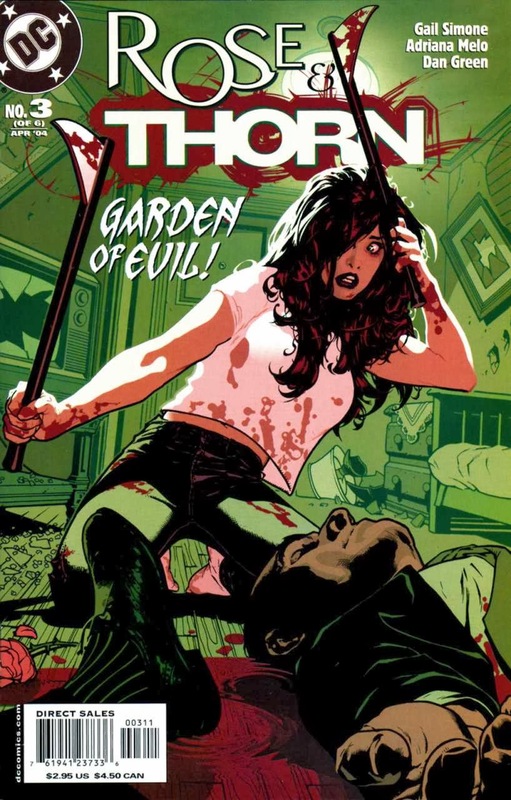 But lets cut to the case: One of my recommendations for Halloween-reading was the one-shot issue story Rose And Thorn by Tom Taylor (you can see the review HERE). I loved the story, and I was disappointed when I realized it wasn't a series. 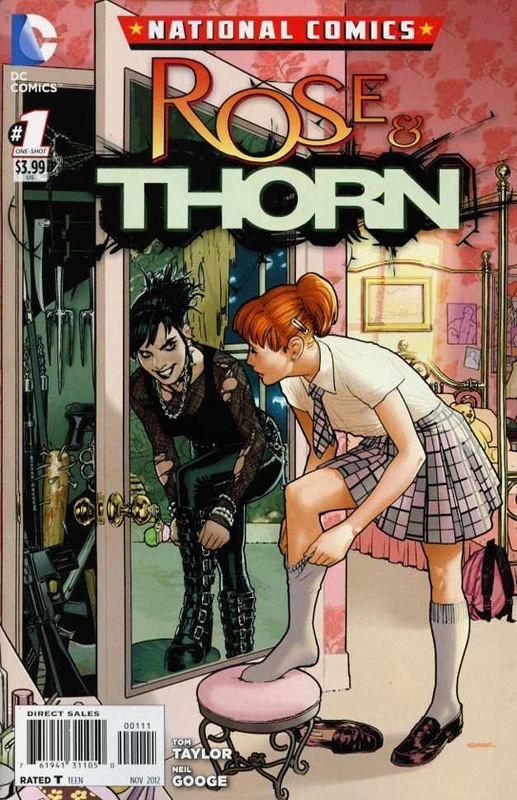 But I knew that there was a Rose And Thorn series written by Gail Simone. Getting it was difficult since it's not a TPB, but I was lucky enough to find it in a bucket with used comics at my nerdshop. Rose Forrest (get it?) is a very violent and unstable young lady who are placed in a youth care facility, where she is a danger to the other girls, as well the guards. A psychiatrist named Chistlow attempts to help her with a new kind of therapy, witch he has devolved himself. The therapy works... per se. Yes, he manege to stop her from being violent by splitting her psyche as a type of forced split-personality and therefor storing all the anger away in one psyche, but it unfortunately means that she can become even more violent if her sweet, kind "Rose" persona gets dominated by her angry, revenge-seeking "Thorn" persona. So now that Rose has been signed out of the facility, Thorn now has her chance to hunt down her parents killers, as violent and disturbing as she is pleased, without worrying about the consequences. Do I have to say anything but "Gail Simone" about this comic? This is a mystery series, and pretty well done. Simone holds her cards close to the body, and we only get tiny bits of details every issue, until we have a full picture in issue six. We see Rose struggle with Thorn, who are as close to being a completely different person as it is possible to be when its part of once psyche. And it is a very different kind of split-personality, since its artificial. I personally prefer the Rose And Thorn series written by Taylor, but really, you should check out bout of them. Its probably going to be harder to find Simone's series, since its older, but its honestly worth it. I'm probably going to put this one on this years Halloween recommendation-list. That's all for now. I'm Waezi2, and hanks for wasting time with me.